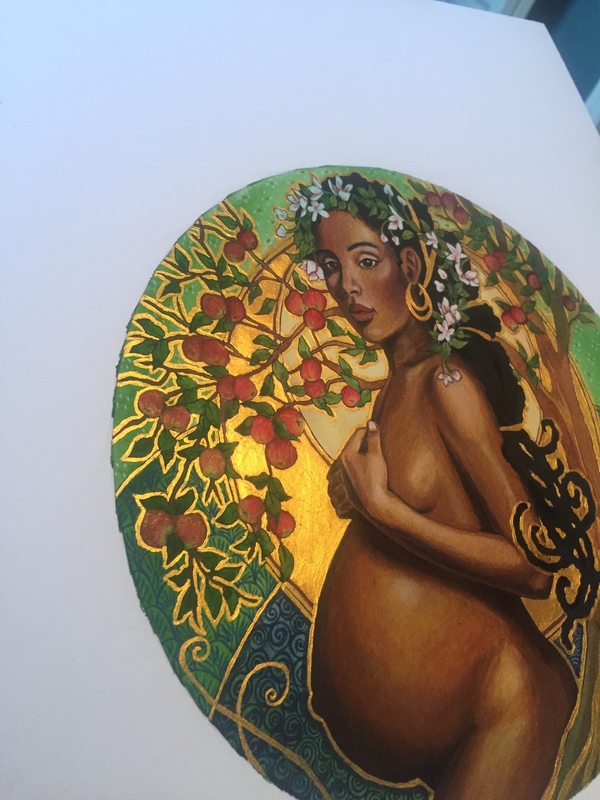 This is the second piece in my “Seasons” series representing four seasons of womanhood. 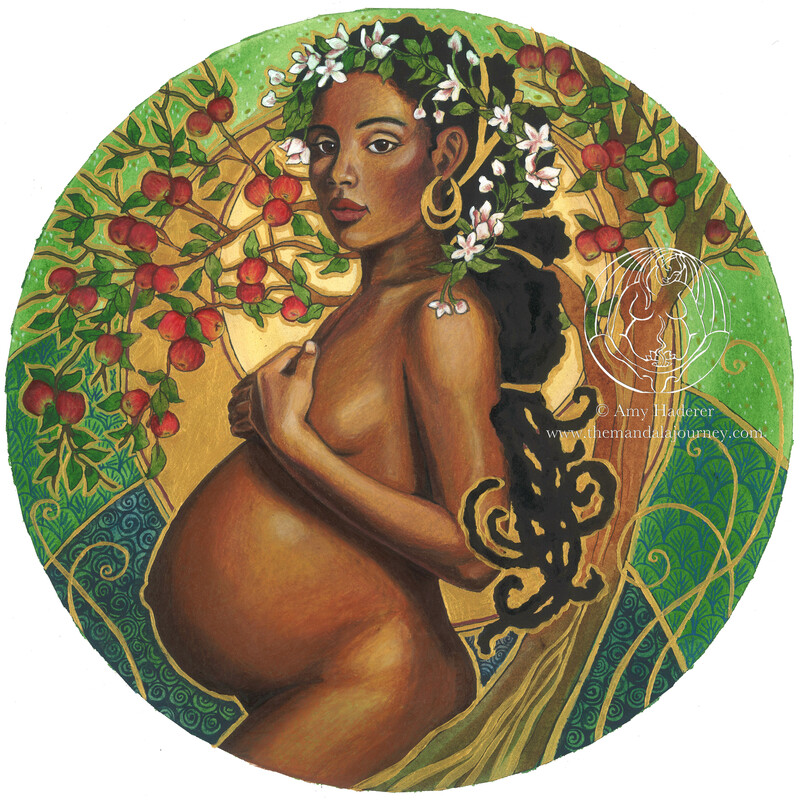 Summer solstice, the journey to becoming a mother, with a warm summer glow through the branches. In the original piece has bright gold metallic paint that shines (which is difficult to capture in the artwork scan). This piece is truly luminous! One of my favorites.